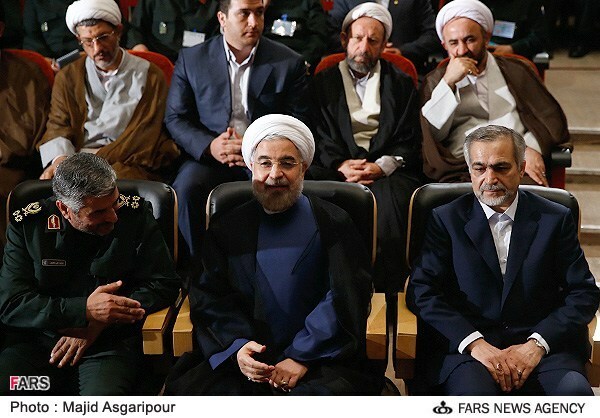 In an address to high-ranking IRGC commanders on Monday, President Hassan Rouhani invoked the late Ayatollah Ruhollah Khomeini, saying that the Guards should should stay out of “political games”. The IRGC is “beyond Iran’s political processes”, the President added. However, Rouhani also said that he did not accept rumors that the IRGC were competing with the public and private sectors over its role in the economy. Rouhani’s comments regarding the IRGC’s political and economic roles comes after weeks of tension with between Rouhani and the Guards over issues like Syria and the nuclear talks. In his speech, Rouhani was effectively setting out clear boundaries for the role of the IRGC, an armed organization parallel to the regular army with the mission of guarding the Islamic Revolution. In doing so, he openly referenced and quoted Khomenei in stating the case for the IRGC’s non-involvement in politics. The Islamic Revolution Guards Corps…is to be maintained so that it may continue in its role of guarding the Revolution and its achievements. The scope of the duties of this Corps and its areas of responsibility, in relation to the duties and areas of responsibility of the other armed forces, are to be determined by law with emphasis on brotherly cooperation and harmony among them. Members of the Revolutionary Guard Corps are not allowed to participate in political affairs or support groups or parties. What goes on in the parliament or elections is not your business. I have been informed that some members of the IRGC still interfere in the process. Elections are being held elsewhere and it does not have anything to do with the members of the IRGC. 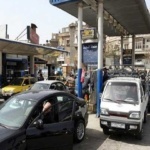 Members of IRGC are not allowed to interfere, members of the military are not allowed to interfere…. The 1982 IRGC statute banned individual IRGC members from political activity but opened up the possibility for the IRGC as an organization to intervene in politics, stating that the IRGC must “realize the divine ideology and expand the rule of God through the legislation of the Islamic Republic of Iran”. Since then, the IRGC has expanded its role both in politics and — beginning during Hashemi Rafsanjani’s Presidency — in the country’s economy. In his speech on Monday, Rouhani used Khomeini to set out boundaries for the IRGC’s role, praising it for its activity in key issues relating to the country’s military and security, including terror operations against Iran, resolving insecurity in first years after the 1979 Revolution and eliminating conspiracies by the “global arrogance countries” against Iran. He underlined that all Iranian people must feel confidence, relaxation and comfort and see IRGC as their defender. “The IRGC is different from the world’s classic armies,” he said, emphasizing that the enemy fears IRGC not because of its military equipment, but because of its “spirituality and devotion”. Significantly, the President set out an economic role for the IRGC, saying that the Guards should continue to take part in large-scale oil and gas projects and dismissing concerns that the IRGC is competing with the public and private sectors in the economy. A Push-Back By The IRGC? Already, there appears to be a possible push-back against Rouhani’s attempt to define the IRGC’s role as being outside of politics. Fars News, which is close to the IRGC, completely ignores the President’s comments on staying out of politics, and instead reports only Rouhani’s praise of the IRGC’s military role. Rouhani underscored the Islamic Revolution Guards Corps’ might and power in defending the country’s territories and interests, but meantime, said that the IRGC is a force to establish peace and not to ignite war in the region. “The IRGC is not the corps of war in the region. It is the corps of security and tranquility,” Rouhani said. Fars News Persian Service takes a different tack, quoting Rouhani as saying that he denies rumors that the IRGC will be removed from economic projects, and adding that the IRGC are able to take on economic projects that the private sector cannot. Fars Persian quotes Rouhani as saying that, because of sanctions, the IRGC must undertake certain large-scale national oil and gas projects, “since the IRGC knows the country’s conditions very well”. [Rouhani] further called on the IRGC to assume responsibility for carrying out some major national projects, so that it can ease the burden on the government, particularly in economic fields. “I ask the IRGC to assist the administration in countering sanctions and tackling commodity smuggling,” the Iranian President pointed out. Dr. #Rouhani at nationwide conference of #IRGC commanders: IRGC cannot be considered at the sidelines or within the political currents. Sepah News, the IRGC’s official public relations outlet, headlines with, “The IRGC Will Assist The Government In The Economy And In Fighting Corruption”.